Welcome to the inaugural Compassionate Sunday! 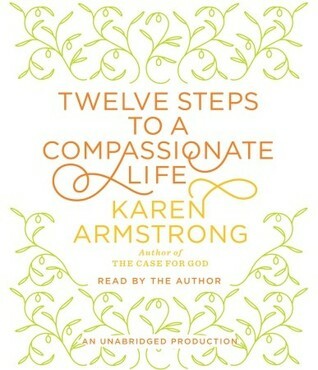 I’m starting a year-long study of Twelve Steps to a Compassionate Life by Karen Armstrong and you’re invited to join. If you want to make a blog post, there’s a link list below to capture it. Or, you can join the discussion in the comments or on Facebook, where I’ll post a link to this post to anchor a discussion. According to the schedule that I posted last week, we’re discussing the First Step, Learn About Compassion, in February. There’s a lot to learn about compassion from the preface of Twelve Steps to a Compassionate Life — so, I’m starting there with a kind of interview, using quotes from the preface for the answers to a series of questions about why we would want to take on the goal of a compassionate life. What is the history of compassion in human thought? The preface follows this first sighting of the Golden Rule with a quick summary of compassion through human history from Buddha, to the three monotheistic religions, to many compassionate reformers including Florence Nightingale, Mahatma Gandhi, and Martin Luther King. Are humans innately compassionate? Or, the opposite? Why is it important for individuals. like me and you, to work on developing compassion? I picked up this book as part of my New Year’s Resolution Reading Challenge because I became aware, in 2015, that I was addicted to outrage. That was causing me to spend inordinate amounts of time in nearly hidden corners of Facebook arguing with people who had no intention of changing their minds. As a tactic, outrage was ineffective in that arena. As a strategy, addiction was worse than useless — it led me to spend precious energy on a barely visible stage when I needed that energy to position my actions in spaces where they could be seen and heard. As I learn about compassion and follow the other eleven steps toward a more compassionate life in 2016, I hope that my way of being in the world becomes the change that I want to see. Did these questions and answers help you? Do you have other questions that you want answered at the beginning of a journey toward a more compassionate life? Perfect timing! This week is Kindness Week at our school. I will get a chance to practice kindness all week, in the hope of making it a habit. Thanks for sharing, and we do, indeed, need to have more compassionate lives. What a wonderful post! I saw this book displayed at the local library this week and now I may have to pick it up. This year I saw myself learning about mindfulness. Compassion falls right into one reason we practice mindfulness. The fifth step in Armstrong’s book is “Mindfulness.” They definitely seem to be related concepts! That looks like a useful resource — thanks! While reading the first chapter, I was pleased when Bernie Sanders answered a debate question regarding his faith that the foundation of his beliefs is the golden rule.